When in the kitchen, to be prepared for cooking your meal or baking your dessert, the key to success is having your set up taken care of, your mise en place, meaning “everything in its place.” For me, being creative is no different. I need my space ready to go. Not just having my tools handy or at least within arms reach, but having a space that is inspiring and visually stimulating. I need to have bright colors, patterns, textures, unfinished art, art by others, etc. Anything and everything to get the juices flowing. The towers have boxes have dwindled drastically in the last month, two to go in fact. Frames and posters are crawling up the walls like ants. My craft nook saw the first of that today. My last apartment didn’t have it’s own designated space for creativity which caused small projects to become a relatively clumsy task. The new Pad de Laura Lee has its own wall. My bulletin board, made by yours truly, tacked with items from my Mother, a handmade card by a fantastic artist, Nicole Donnelly, a postcard from my best friend sent during her worldly travels, and work from Megan King of MLK & toast. The work of others always helps me to feel motivated. Thank you, ladies! Having unfinished projects out in sight is definitely a great motivator to get into gear and get making too! Now there are a couple of projects that always get pushed to the back burner by something new and exciting. Sometimes unfinished art can be just as pleasing to look at, like the handmade ornaments that I have piled in a basket. Also having rolls of fabric exploding out of wooden crates is another way I keep inspired. 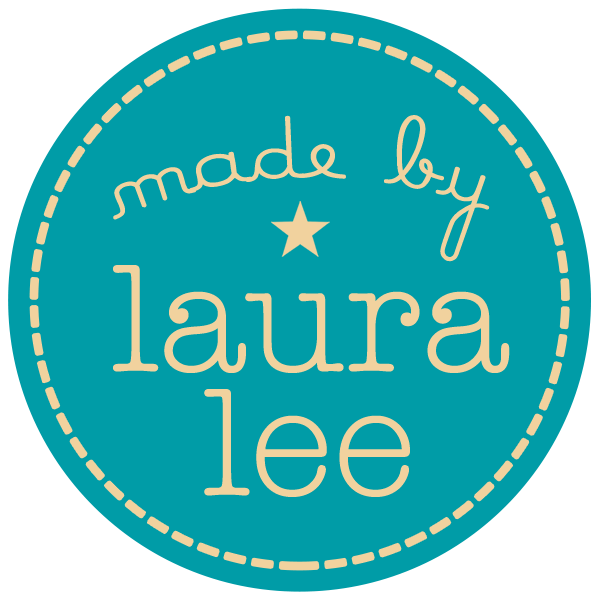 I am so eager to set up my sewing machine, stitch together new masterpieces, and more… Thank you for staying tuned to this episode of made by laura lee. Previous postDoes It Make A Difference?